handbag is a great accessory – not only to make a style statement with but also for its utility. Which is why a handbag is every women’s choice of bag to carry. But there are a few other things you can carry instead of a handbag. Not only are these others bags versatile and different but also high on the style quotient. Curious? Read on. A tote bag can be used to carry everything from groceries to clothes. Why then can’t you carry it to work? 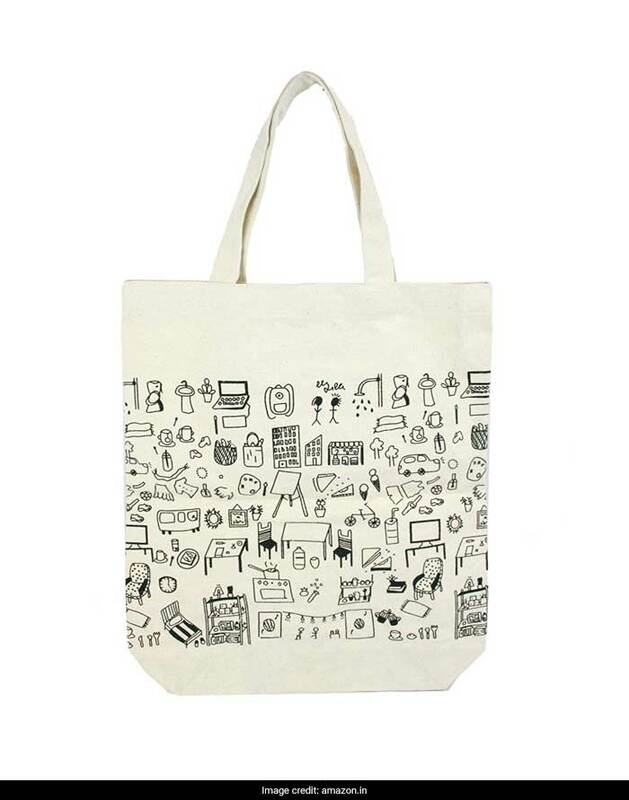 This white printed Bag End tote bag will make quite a fashion statement at work. We love the scribble design on it. Priced 349, you can get this here. 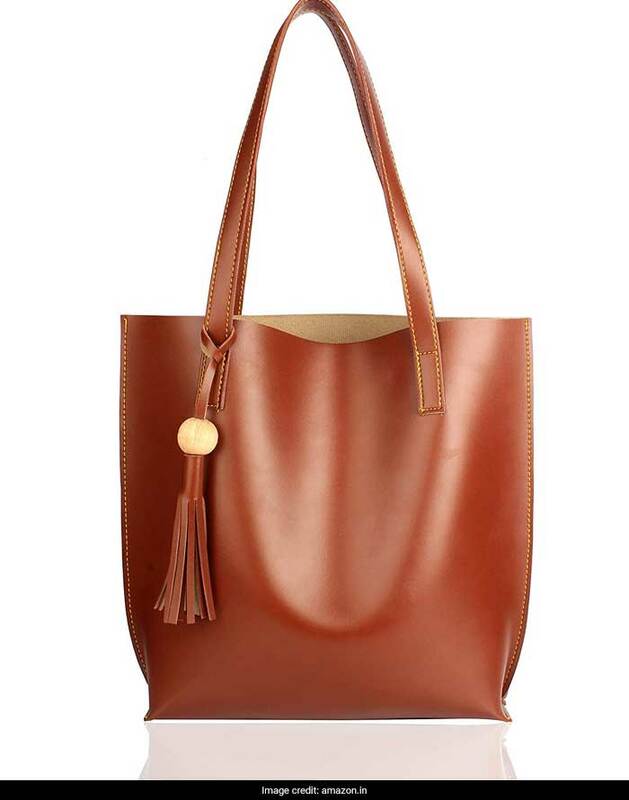 If you want a tote handbag, this Mammon faux leather handbag will be quite a chic piece to get. It doesn’t only look classy but is also high on space. Priced at Rs 269 after discount, you can get this here. How about making a vibrant style statement with this Vivinkaa ethnic satchel bag? 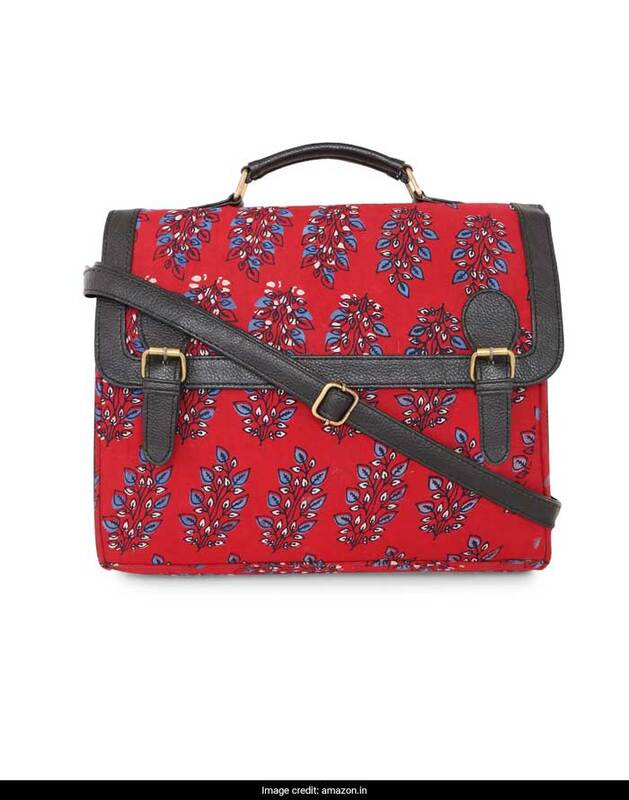 This floral printed red satchel comes with two large and two small pockets. The bag also stands out. Priced at Rs 699, you can get this here. 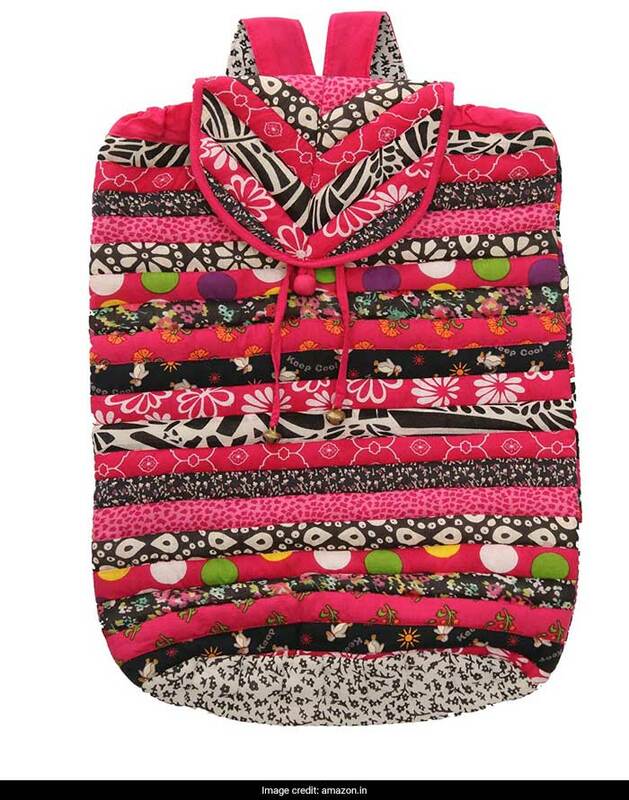 If you want to make a bold statement, this Exotic India multicoloured printed backpack will help you do just that. 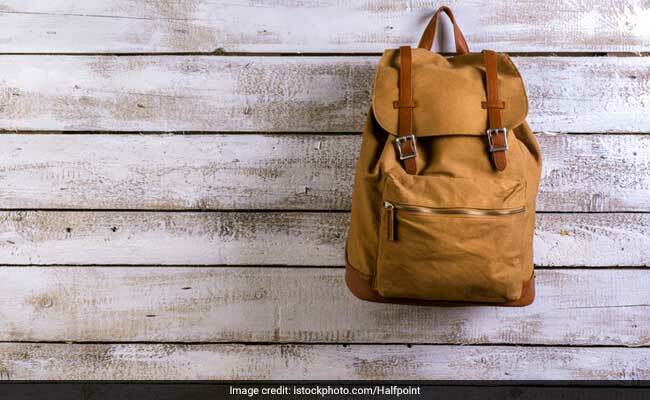 This patchwork backpack from from Dehradun is surely going to make people’s heads turn. Priced at Rs 1,540, you can get this bag here. Another very stylish backpack to get is this khaki PFERD laptop backpack. 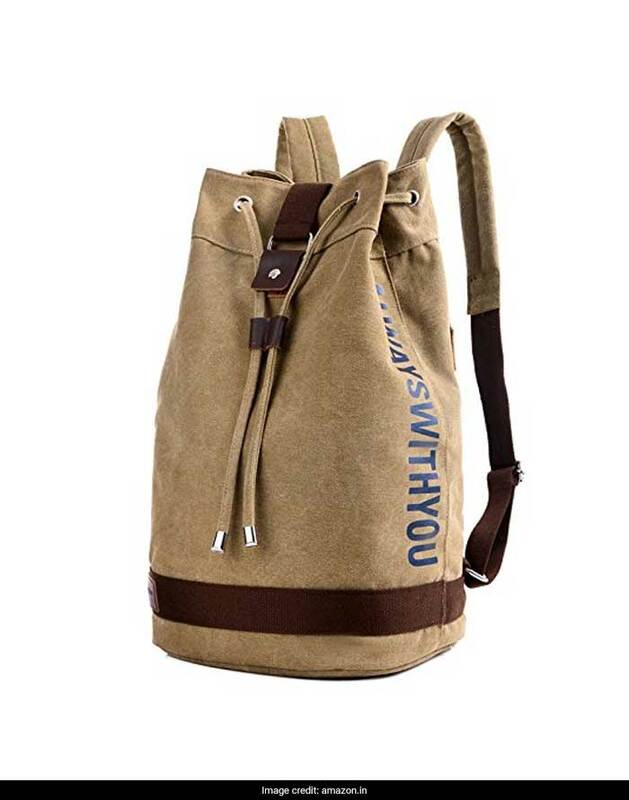 This canvas bag has great capacity and an adjustable strap. You can also carry this when you are travelling. Priced at Rs 1,299, you can get this here.